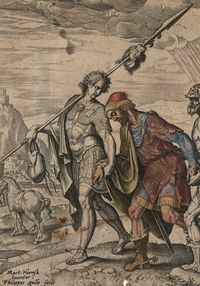 The next summer Book History Workshop will take place from Monday June 22 to Thursday June 25 2015. 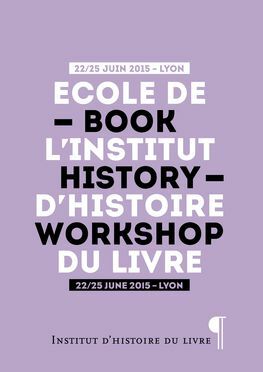 For the 12th edition of its Book History Workshop, the Lyon-based Institut d’histoire du livre is offering 3 advanced courses in the fields of book and printing history, taught by Neil Harris, François Vinourd and Claudio Galleri with Eléonore Litim. 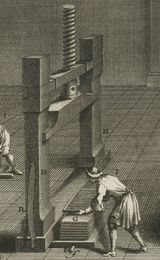 The three classes run simultaneously at the enssib school, with practical sessions in the Lyon Public Library, Lyon Printing Museum and Municipal Archives. The courses are aimed at a large variety of specialists (librarians, curators, scholars, artisans, scholars, graphic designers, booksellers, students, etc.) who encounter questions related to the history of the book, printing and graphic communication in the course of their work or research. Each course is taught by a leading international expert in the field with emphasis on the study of original documents. The course fees include the provision of study materials, a welcome cocktail and tea/coffee breaks. It does not include meals and accommodation. The welcome cocktail, including free entrance to the Lyon Printing Museum will take place on Sunday June 21. It is a good opportunity to meet with the tutors and the organizers before the course begins. 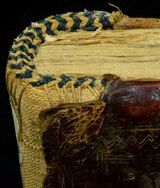 The aim of this course is to explore different types of bookbindings on the basis of three criteria: analysis of their structure, knowledge of the materials used and their decoration.